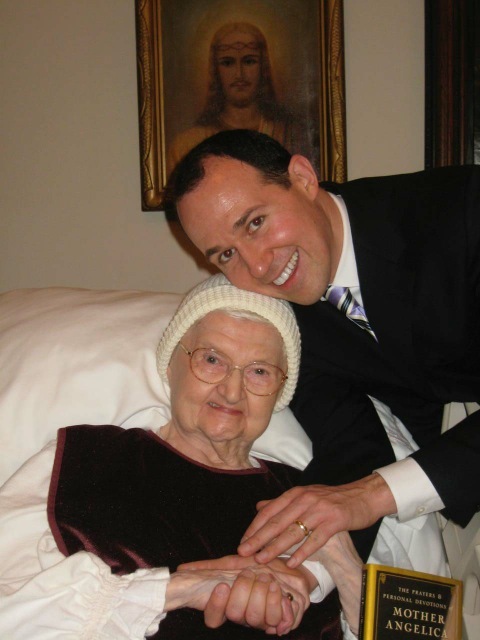 In 2006, Raymond Arroyo, EWTN news director and Mother Angelica’s biographer, told one particularly fascinating story among many in Mother Angelica: The Remarkable Story of a Nun, her Nerve, and a Network of Miracles. I’m going to recount the highlights of that story here because it is related to the current controversy about ad orientem Masses. 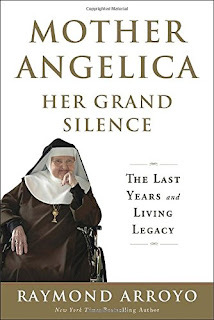 This story is especially relevant now because it tells how the bishops of the United States Council of Catholic Bishops (USCCB) battled with Mother Angelica after she instructed her Franciscan Missionaries of the Eternal Word to move away from the exclusive use of the vernacular in EWTN-televised Masses, to sing Gregorian chant, and to celebrate ad orientem. And I want to let you in on the end of the story, with some snippets from a recent interview I did with Raymond Arroyo that are about how the liturgical conflicts between Mother and the American bishops played out with a hands-down victory at Mother Angelica’s funeral Mass. The story vividly illustrates some pervasive misunderstandings about the actual intentions of the Second Vatican Council about the liturgy. The conflict initially came about because Mother Angelica was irate about the changes in the English translations to include more “inclusive” language, which the bishops, among others, were said to be planning in the early 90s. Mother sent some of her Poor Clare Nuns of Perpetual Adoration to study the Vatican II document on the liturgy, Sacrosanctum Concilium, and related decisions from the Vatican, and they discovered that the use of Latin and of Gregorian chant and the saying of the Mass ad orientem had never been forbidden. Those who frequent the New Liturgical Movement website, members of the Church Music Association of America and many others had been aware of this for years, but the average Catholic, not to mention, it seems, the average priest and the average bishop, has apparently never heard the facts of the matter, and Mother Angelica and her nuns had to determinedly ferret those facts out for themselves, in self defense. Masses on EWTN are routinely celebrated according to the Missal of Pope Paul VI, in what Pope Benedict XVI later called the Ordinary Form and what Arroyo referred to as the New Mass. At EWTN’s chapel in Birmingham, the friars began to sing the Ordinary of the Mass in Latin. And they celebrated the Masses ad orientem. The USCCB couldn’t take any action in these matters because Mother Angelica’s bishop supported those changes. But Bishop Foley later would lock horns with Mother Angelica over ad orientem celebrations of the Mass. In her reply to this latest broadside, Mother showed her chutzpah. She shot back that the bishop had been “misinformed by his consulting canonists.” She protested that the law of the Church allows priests to face either way during Mass, and that she had witnessed for herself that the Holy Father, Pope John Paul II celebrated Masses ad orientem in his private chapel. Bishop Foley did not like her defiance of him in his role as chief liturgist of the diocese, and he would not back down. He promulgated a law outlawing the ad orientem posture in the Birmingham diocese on October 18, 1999. In a follow-up cover letter to priests in the diocese, Bishop Foley referred to ad orientem as “a political statement dividing the people” and also as “an illicit innovation or sacrilege” for a priest to “turn his back to the people." Any priest who defied Bishop Foley’s decree would face “suspension or removal of faculties.” The decree was to go into effect three days before the scheduled consecration of the Shrine. Mother appealed to Rome. She sent two EWTN executives to hand-deliver letters to the Vatican congregations responsible for the Mass and Church doctrine. She knew that Cardinal Ratzinger was on the same side as she was. 1. No custom presumed or otherwise could intervene against the liberty of the celebrant to celebrate the Sacred Liturgy in accord with the rubrics of the Missale Romanum. 2... After having heard the opinion of the Congregation for the Doctrine of the Faith, which has expressed to this Congregation its own serious concerns, this Dicastry has concluded that individual Diocesan Bishops may not prohibit celebration of the Sacred Liturgy facing the apse (ad orientem), and therefore, it must respectfully ask that Your Excellency withdraw this Decree because it is contrary to the ius commune with regard to liturgical matters. To shorten this long story a bit, Bishop Foley lost that battle, but before it was totally over, he got in another glancing blow. Bishop Foley couldn’t ban ad orientem Masses, but he could and did ban televising them, based on the rationale that broadcasting Masses like that would damage unity. In the little chapel at the EWTN studios in Birmingham, the friars began to celebrate Masses facing the people whenever the Mass was televised, because their bishop said they had to. Beautiful, reverent Ordinary Form Masses continued to be routinely celebrated ad orientem at the Shrine of the Blessed Sacrament, but they were not televised. I’ve been there for a few. After Bishop Foley retired in 2005, the ban of televised ad orientem Masses was lifted by the next bishop of Birmingham, Robert J. Baker, S.T.D. 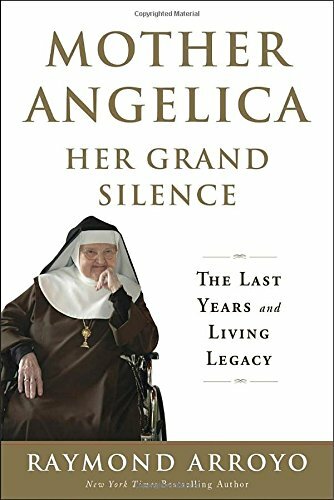 During a recent interview I had with Arroyo about his biographical sequel Mother Angelica, Her Grand Silence: The Last Years and Living Legacy for an article upcoming in the August issue of Homiletic and Pastoral Review, I asked him about the battles Mother had with the bishops and the toll those battles took on her. Here follow some excerpts from the interview. Sullivan: You wrote about what is commonly called a “near-death experience” in 2001 in which Mother said she left her body three times and that when she came back she said she wasn’t afraid of death any more. It’s significant that she also mentioned she was no longer afraid of the bishops either! Question: Do you have any more new insights about her battles with some members of the Church hierarchy affected her? Arroyo: “Psychologically and physically, it was a great trial. It’s one thing when people from outside the Church come after somebody, but Mother was really fighting a two-pronged war, because she was fighting those outside the Church, and then she was fighting those inside the Church. Sullivan: You wrote in the first biography about run-ins that she had with some American bishops, who were trying to launch a Catholic network of their own. Many of them expressed their distaste for what one priest called “her kind of theology.” It seems now that she won over the opposition, and that “her kind of theology” is now accepted. Question: Did you add any more details about those kinds of battles she went through and their outcomes after the initial biography? Arroyo: “The [first] biography is pretty conclusive on those battles. She really did win all of them in my mind. The things she fought for, the rosary, Eucharistic adoration, Latin in the Mass, ... those things were considered relics of another age, never to be seen again. 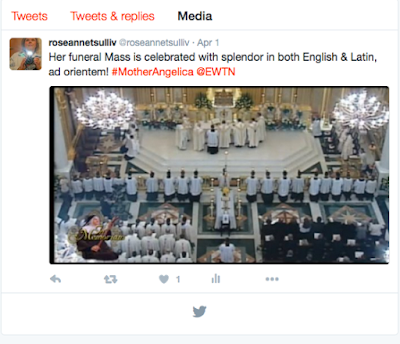 Mother Angelica not only kept them alive, she popularized them. She put all those devotions in front of the eyes of the masses so they could see what they had been missing. Remember that she had a titanic battle with her local bishop, Bishop David Foley, near the end of her active life. He didn’t want the Mass televised ad orientem, facing away from the people. [And Bishop Foley’s fellow bishops in the USCCB didn’t like the use of Latin in EWTN Masses.] The Mass had to be in English. And as Arroyo put it another way in a subsequent email: "Mother managed to not only get an Ad Orientem Mass in Latin on air, but Foley had a front row seat on it." 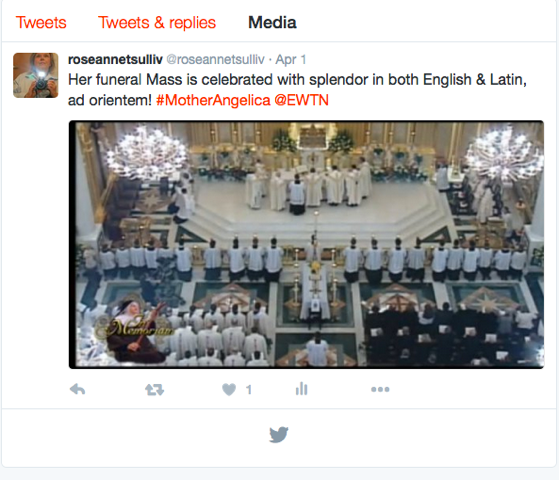 During Mother Angelica’s funeral I posted a Tweet with a screenshot from the Mass. I had been hoping that it would be a traditional Requiem Mass, but it turned out to be a splendidly reverent Ordinary Form Mass with sung Latin Ordinary, Pater Noster, versicles and responses, concelebrated ad orientem by Archbishop Charles Chaput, Birmingham’s current Bishop Robert J. Baker, Bishop Emeritus David Foley, Mother’s MFVA friars, and many other priests associated with EWTN.